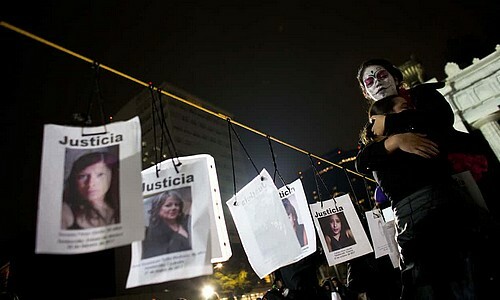 According to a new, recent report by the Interior Department, the National Women's Institute and the UN agency, the number of women murdered in Mexico has risen sharply in the last decade, in the middle of the war on drugs. In particular, of over 50,000 killing of women since 1985, almost a third took place over the past six years. I wish male readers out there will tolerate and understand what I’m going to say, but when a woman is murdered, much more is killed than the mere flesh and blood that were asking just for life. Because when a woman is erased from history, it happens also to the future she would have donated, the present she would have taken care of, and the past she would have claimed. It's like taking the earth off from the sky, one piece at a time. It is like depriving the sun of the best which to be reflected in. It creates unnatural loneliness that leaves behind madness and misery. With every women martyrdom, we all become smaller and more alone.